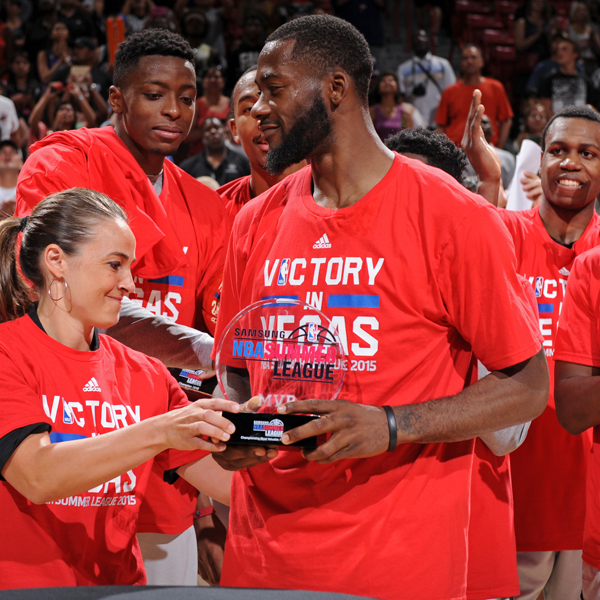 The NBA Coaches Association would like to congratulate Becky Hammon on being the first-ever female head coach at the NBA Summer League and leading the San Antonio Spurs to the 2015 Samsung NBA Summer League Championship! LAS VEGAS — Becky Hammon made history when she became the first female head coach in NBA summer league. Leading the San Antonio Spurs to the Las Vegas Summer League championship just made the experience that much sweeter. Hammon coached the Spurs to a 93-90 victory over the Phoenix Suns on Monday in the title game.